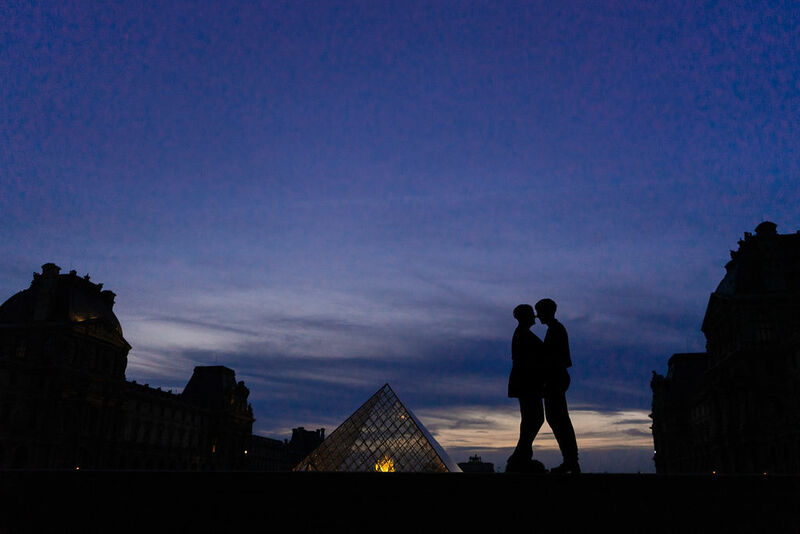 Diane reached out to me many months before her “big ask” in Paris. 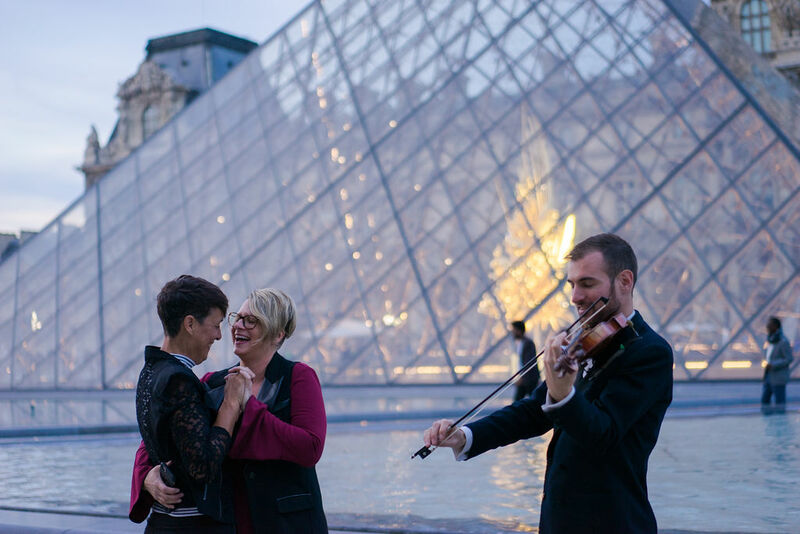 She had the idea to propose to her partner, Lori, at the Louvre Museum just after sunset, all while being serenaded with “their song” by Adrian, our favorite Paris violinist. We of course loved her idea, so the plans were put into place, and we were ready for the big day! 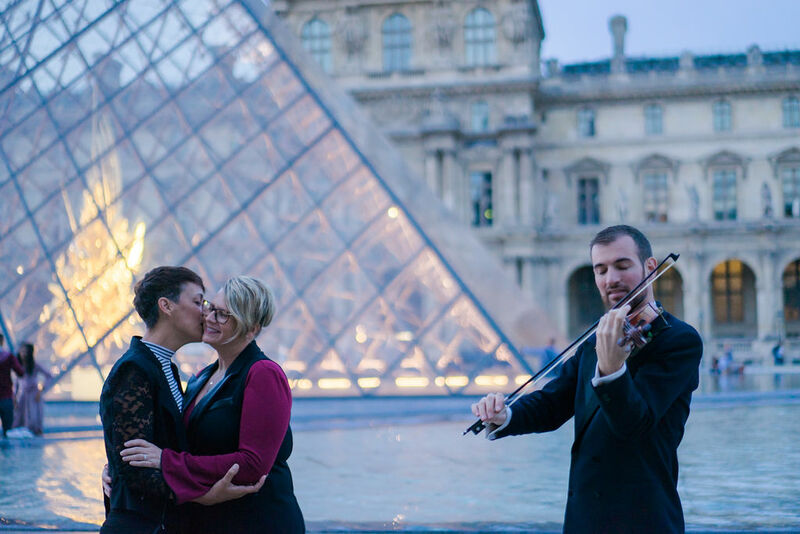 So Adrian quickly went ahead, approached the ladies and started playing their song – Ed Sheeran’s “Perfect.” Then, Diane went down on one knee (whew, I thought!) as Lori was laughing, crying and of course said yes! It turns 0ut that just moments before Diane proposed to Lori, Lori actually got down on her knee and proposed to Diane!! 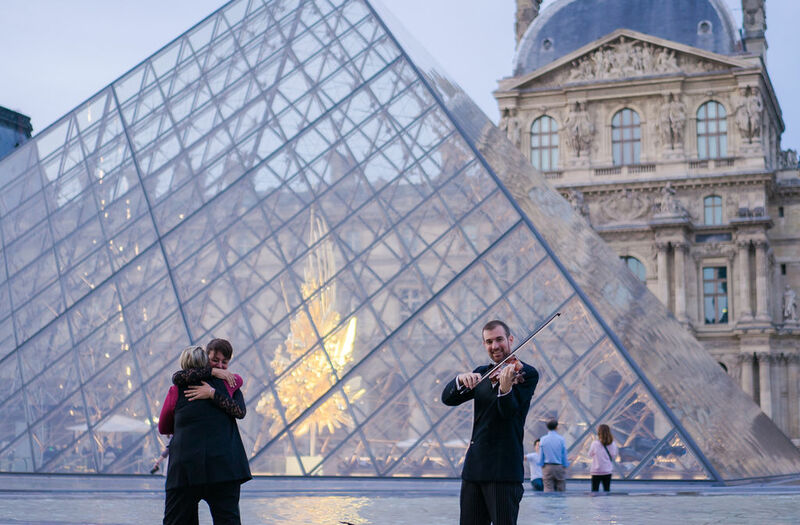 She had been carrying an engagement ring in her pocket over their first few days in Paris, but was just waiting for the right moment. 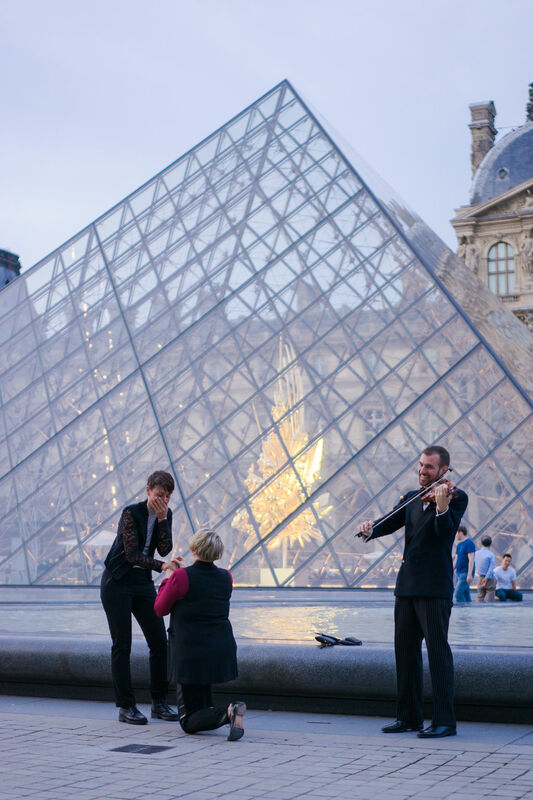 Diane was totally shocked by what just happened, but then as Adrian approached them she went ahead with her proposal as planned, a mere moment later! 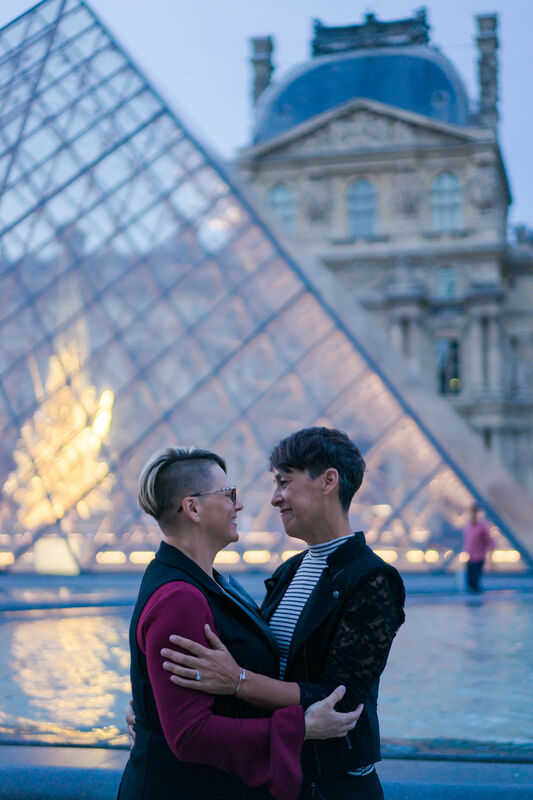 Both Diane and Lori chose the exact same moment in time to propose to each other. Talk about serendipity.